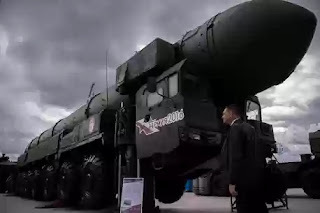 Russia has unveiled its new nuclear missile, which is powerful enough to destroy a country as big as France with a single strike! 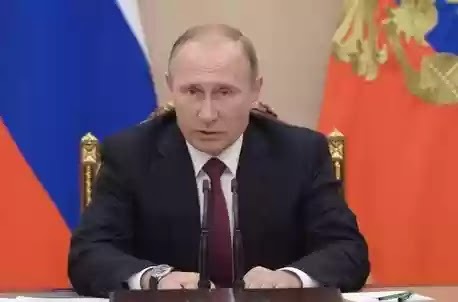 Russian President Vladimir Putin is seeking to replace his arsenal of SS-18 Satan weapons with the new RS-28 Sarmat super-nukes. Loaded with warheads and equipped with an incredible range. They are packed with up to 16 nuclear warheads according to pictures revealed online from the Makeyev Rocket Design Bureau. The weapons – which will be ready for launch in 2018 – will make the bombs dropped on Hiroshima and Nagasaki look like “popguns”, experts have said. "In June 2011, the Russian Ministry of Defense signed a state contract for the Sarmat's development. Moscow weapons experts have said the so-called Satan 2 will be able to evade radar defences and could travel far enough to strike London or the East and West Coast of the US, according to the Daily Star. The obviously veiled threat does not seat well with Western governments who are convinced that Putin and Russia are out of control.